Construction on San Francisco’s massive Parkmerced redevelopment project will start in February, kicking off the three-decade buildout of 5,679 new housing units, according to the developer’s filings with the city this week. The Planning Commission on Thursday got a peek at the designs of the first five residential complexes that will dot the 152-acre complex on lots that are now mostly vacant. 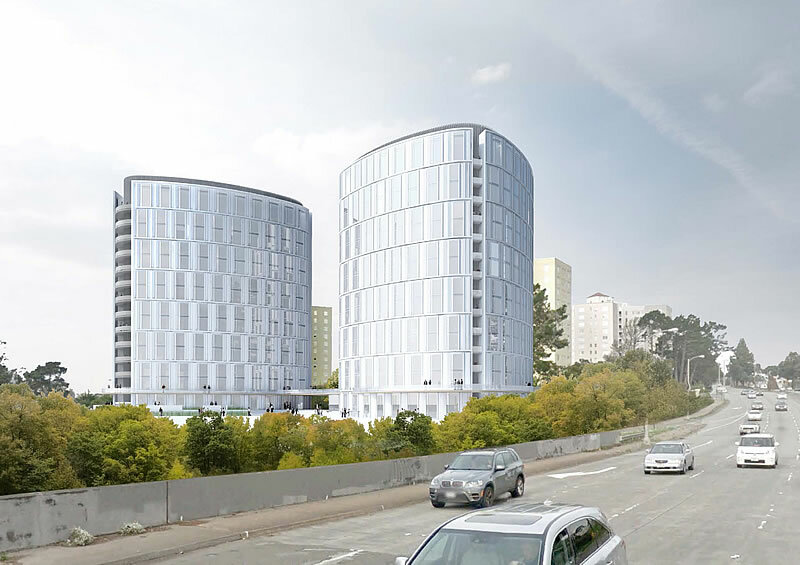 The buildings, which will add about 1,000 units to the development, range from 14-story cylindrical towers with heavy amenities to five-story buildings full of replacement units for eventually demolished rent-control units. The construction will start on the first two subphases of the project — plots on the northwest corner and southeast corner of Parkmerced. The development is in the far southwestern part of the city, near San Francisco State University and the Daly City border, an area that has seen little new residential construction despite the recent real estate boom. The neighborhood was originally built by Metropolitan Life Insurance Co. in the early 1950s as an automobile-centric enclave for middle-class families and soldiers returning from World War II. New owner Parkmerced Investors LLC, now led by New York developer Mark Karasick after a November recapitalization that values the project at $1.35 billion, brought in several architecture firms to create diverse designs in the new buildings. Leddy Maytum Stacy Architects, Fougeron Architecture, Woods Bagot and Kwan Henmi designed the phase one buildings. Parkmerced was originally approved for redevelopment in 2011, but was hung up in court. It prevailed in a lawsuit that challenged the project’s environmental viability last year. The city planning director must approve each phase of the developer’s application before construction can start. Parkmerced must replace all 1,538 existing rent-controlled units on-site and each new phase will include 15 percent of the units as below-market-rate. The developer must also design and build of re-routed M-line Muni streetcar to go through the project site, including two new stations. Parkmerced Investors will also bankroll street and infrastructure improvements to the aging site.